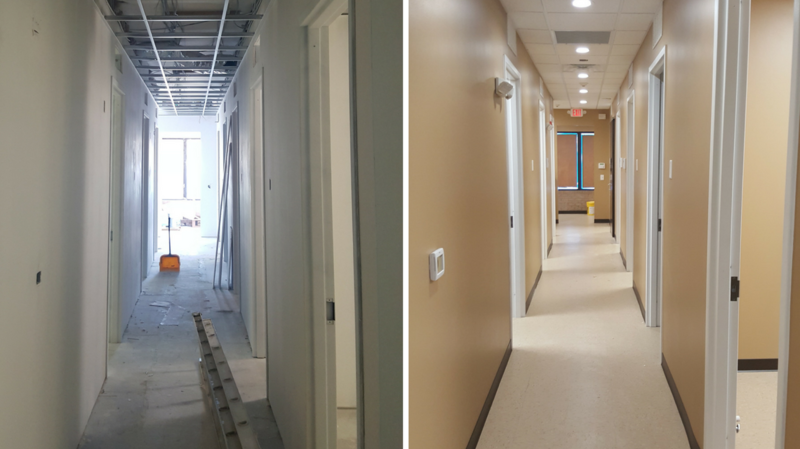 We took an office building lot and made it into a professional dentist office. 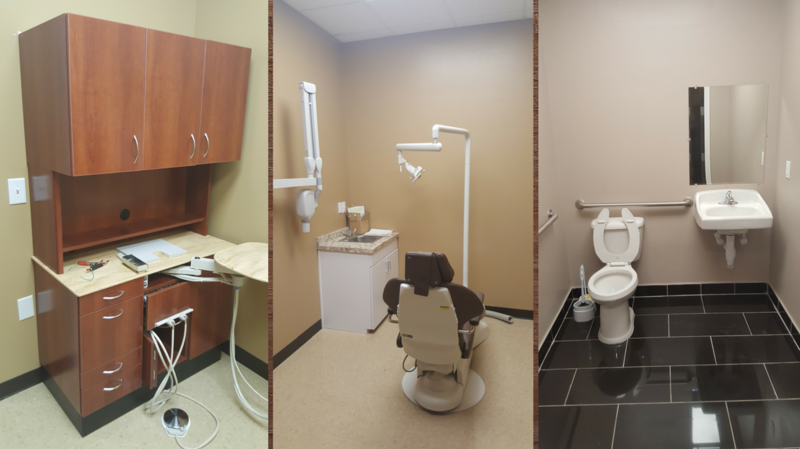 This project required the layout that is necessary to serve multiple dental patients for various procedures. 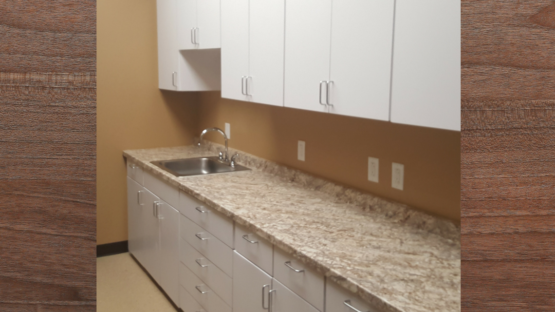 We needed to comply with the state code and standard for facilities used as a dentistry. We started by designing the right layout to properly operate and serve multiple patients at one time. Plumbing and wiring were a big part of the design due to the many tools that will be used by the staff. Once the layout was set then we were able to find high-quality materials to build each room for efficiency and comfort.